Today I have to honor of interview Orchid from The Haunting of Orchid Forsythia. Where am I from…well, everywhere and yet nowhere. I know, an odd answer, but when you grow up being a military brat that seems to be the general answer. I’ve lived in three out of four corners of the Continental United States (just never managed to get the fourth corner before my Dad retired). Seriously though, not moving every x-number of years is the weirdest thing ever. God, family, books and sports, would be the abbreviated history of me. Recent crafter (took me some time to discover projects that didn’t make me angry). I started blogging back in October of 2008. Yes, The Haunting of Orchid Forsythia was my first and, remains, my only blog to date. There wasn’t something specific that made me start blogging. Though, reading Meg Cabot’s blog was one of the biggest inspirations for me starting a blog. Her blog was so funny, as are her books, that it piqued my interest. I guess you could say the rest is history. My blog was not always about books, it just kind of ended up that way as I fell deeper and deeper into reading. Though how I could fall even deeper into reading than I was is beyond me. For safety, I picked a pseudonym. I could not even begin to explain why I picked the name Orchid Forsythia…but, then I just started writing out random things paired with the name and eventually, after probably 30 tries, decided that The Haunting of Orchid Forsythia suited me. I liked the mysterious aire that it had. Oh gosh, to be honest it was probably well over a year *coughorcoughtwocough* before I cracked 100 followers. There wasn’t really a process, it was just something that happened over time. It took me ages to become comfortable writing and sharing my thoughts as I’m really reserved and not much for sharing. It varies depending on how much time I have. I can read anywhere between 5 and 20 books in any given month. Also depends on how many duds I run across. 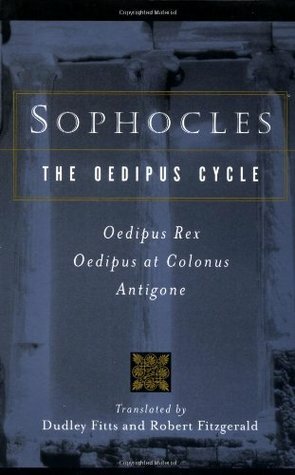 The Oedipus Cycle by Sophocles- I read this at the recommendation of Maggie (of The Novel Orange) after conversing about classics, and, it was such a great read!! I could not put it down for anything and flew through all three plays in a matter of hours. Hmm, maybe people find me intimidating (promise I don’t bite) because I, sadly, don’t get asked all that many questions. Usually just readers wanting to know what I’m currently reading or author’s inquiring after a review or promotional post. To go at your own speed; have fun. Don’t worry about being “big” or getting ARCs, opportunities will always come around and there’s no need to add extra stress on to what should be fun. Just one that comes to mind… The Princess Bride. I admit that I enjoyed the movie so much more than the book. The book itself was really good, but, it was slow going and would have been better if it were more concise. Vampire Academy…tried it, didn’t get more than two pages in. Game of Thrones- I wanted to love it, but ended up DNFing it. Any new blog features you are working on? I have a couple in the planning stages. They’re still secret until I name them and design the graphics for them. Though, I am in the middle of revamping a blog feature that I debuted last year-“This Book is SO”. It’s hard to describe this feature, other than that it’s about how a current book is making me feel- happy, sad, rage- in gifs with a short thought on why certain gifs fit how I’m feeling about it. YES!! I would love to know what everyone’s favorite classic book is and one classic that you haven’t read yet but have always wanted to!!! I’m currently rereading and listening to the audio books for Harry Potter, so, here are two of my favorite quotes from the series! Kaitlin, thank you so much for having me. I have absolutely enjoyed answering your questions and being a guest on your blog. Thank you so much to Orchid for coming and sharing her answers!! I have always wanted to read Pride and Prejudice, and I started Pride and Prejudice and Zombies and just couldn’t get into so I never tried the original!